The UCF Libraries requests $77,140 to purchase a web scale discovery tool to simplify access to its many information resources. A web scale discovery tool will perform a Google-like search across all of UCF’s databases from a single search box. From AnthroSource to Zoological Record, from EconLit to PsycINFO, the library has databases and online journals to support every UCF program. The problem for many students, however, is knowing which database to search. Even sophisticated researchers are challenged to find the right database. This problem is compounded when a student needs both books and articles: the library online catalog includes books, DVD’s, and other resources, but not individual journal articles. The typical student is faced with choosing among an array of information sources and then repeating the same search in multiple databases. In recent years, new products known as web scale discovery tools have appeared in the library marketplace. Simply put, a web scale discovery tool creates one very large index of all library databases and catalogs, which can be searched rapidly. A user searches the combined index through a simple, Google-like search box that is coupled with an intuitive, richly featured user interface for viewing and interacting with results. Like Google, search results are ranked by relevancy, so the most important resources appear at the top of the list. If a user misspells a word, the discovery tool asks, “Did you mean…” and suggests a correct spelling. A user can manipulate the results through the use of facets, which allow one to view, for example, only scholarly (peer-reviewed) journals, or just the items published in a particular time period. The major difference between Google and a discovery tool is that Google searches the entire web, while a discovery tool will search only the UCF library’s collection of premium content (i.e., the information that is not available free online). After a careful evaluation process, the library selected EBSCO’s Discovery Service (EDS) as the web scale discovery tool that offers the best features and value to UCF. UCF has a long-standing relationship with EBSCO, which is UCF’s primary vendor for journal subscriptions and a provider of e-content. EBSCO’s pricing is very competitive, and their customer service is outstanding. The UCF community will be well served by EDS. EDS will be available from the library’s website 24/7, and it will be accessible to all UCF students, faculty, and staff on or off campus. The number of simultaneous users is unlimited. On a typical day, the online catalog alone is searched 6,858 times. While this figure does not represent individual users (each user could have performed multiple searches), it is safe to say that EDS will benefit several thousand UCF students on a daily basis, and it is capable of serving all 59,000 students as the product has no limitation on simultaneous use. Based on compelling evidence from other universities using EDS, the projected number of searches will increase with the implementation of EDS here at UCF. With EDS in place, UCF students will be able to access the online catalog plus the hundreds of full-text databases UCF subscribes to with a single search, just like Google. Currently, when students access the library’s website to find books and articles about a certain topic, they are faced with a plethora of choices. They can search the library catalog to find books, but they must search a specialized index or database to find scholarly articles. The hard part is knowing which index or database to search, as many are named rather cryptically (e.g., CINAHL is the primary database for nursing literature, ERIC is a major tool for education resources, and Compendex is the comprehensive engineering database). In addition, the student often will need to repeat the same search in a number of databases to find all of the relevant information he or she is seeking. With EDS, the student will not need to know which database to search. A single search box will automatically search across all of the Libraries’ rich resources and return a list of items with the most relevant at the top. Students can then manipulate the list to fine-tune the search results by using limits and facets, all of which are displayed through an intuitive, easy to use interface.The benefit to student learning is that students will save time and avoid the frustration of dead end searches in the wrong database. As students are rewarded with successful searches through EDS, they will develop confidence and competence in their research abilities, which will aid them in all aspects of their academic careers. EDS provides COUNTER compliant statistics through its administrative module. Currently maintained usage statistics on UCF’s digital resources will be the baseline for comparison to usage following the implementation of EDS. Every university using EDS has experienced a dramatic increase in usage, because EBSCO’s Discovery Service helps users more easily discover scholarly articles, and because EDS will link to the full text whenever it is available. The expected outcome is an increase of 15% per year or more in full text usage. Table 1, below, shows 2010 full text downloads for UCF’s most used online journal providers, which form the basis for the target full text use increases (Table 2). The library will conduct usability studies to assess student success using EDS to find articles, journals, and books. In addition, the library will survey students and faculty to measure their satisfaction and perceived success with EDS. 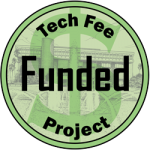 The requested Technology Fee award will fund EDS for two years. During this time, the library can evaluate current services with an eye toward reallocating funding that could be applied toward EDS for the future. Having Technology Fee funding in place will allow the needed time to prioritize library resources, without having to delay the implementation of EDS, which will benefit the entire UCF community. EDS is a hosted service, which means that demand on UCF staff time will be minimal. Based on the experience of colleagues at other universities, there should be a small impact on staff workload that can be absorbed with current resources.